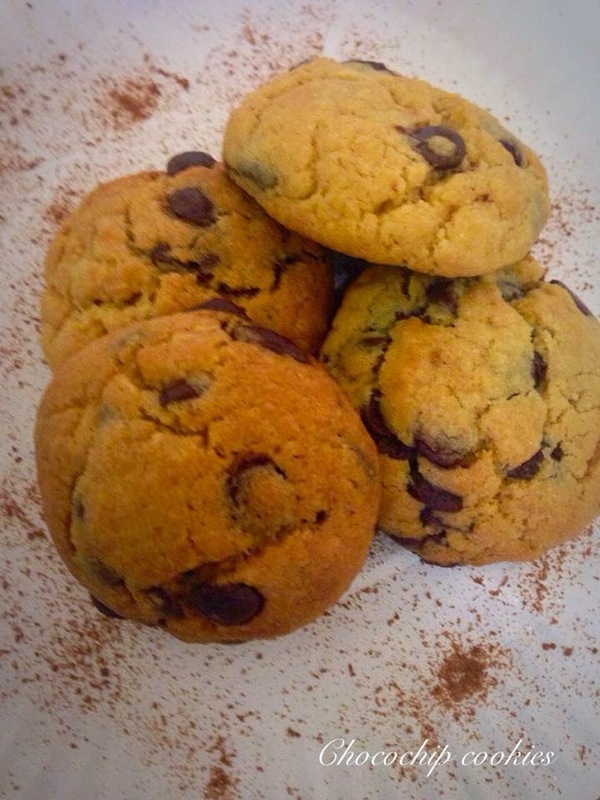 These yummy Choco chip cookies are my son's favourite one. 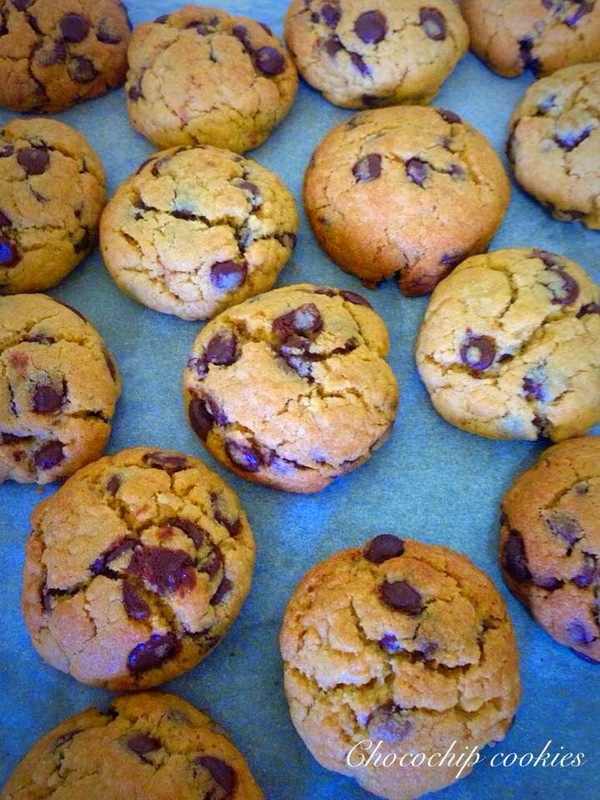 I tries so many recipes for these cookies but never got such an awesome result as my son like cookies bit crispier side. This time I finally nailed it :). 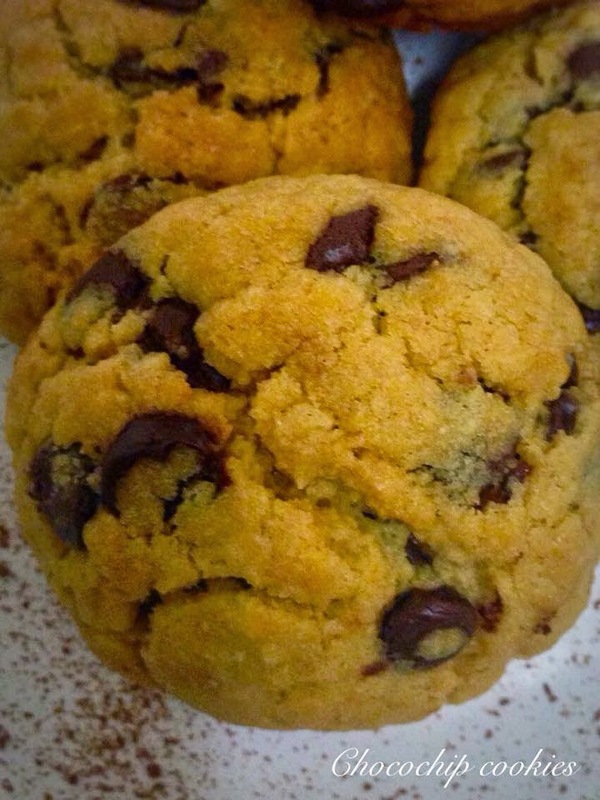 Perfect Choco chip cookies recipe I want to share with you. Sift the flour and baking powder into a medium bowl. Add sugar and mix well. Place butter and egg in a small bowl and mix thoroughly. Pour into the flour mixture and stir until combined. Add Choc Bits and stir well to combine. Roll tablespoonsful of biscuit mixture into balls and place 4cm apart on the lined trays. Bake in preheated oven, swapping the trays halfway through cooking, for 18-20 minutes or until the biscuits spread slightly and are light golden. Remove from oven and set aside to cool completely on the trays. Repeat with remaining biscuit mixture.